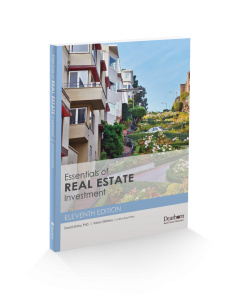 Using an effective blend of theory and practice, this text helps students navigate potential investment opportunities in the real estate market. A unified principles and practice approach allows instructors to adjust the curriculum to their needs, and the concise workbook format helps facilitate learning. Coverage explores investment trends, tax laws, regulations, and market conditions. Instructor Resources include course outline, quizzes, answer keys, and a PowerPoint presentation.